Capture - Store and share information. Store your data, Import Emails, Documents, Notes and Images. Import and export from any data source including 3rd party services. Store in AgileCase for storage, backup, audit and processing. Store documents and contact records in a secure, backed up and audited space. Document Management - Create documents instantly using AgileCase’s automated document templating feature. Populate fields such as names, addresses and other case information automatically. Learn More. Document Versioning - Collaborate on documents, securely share documents with your clients, and keep track of all edits and changes with our integrated versioning. Learn More. Safe and Secure - Manage access permissions, automate your documentation process, and ensure that only authorized people see your documents. Learn More. 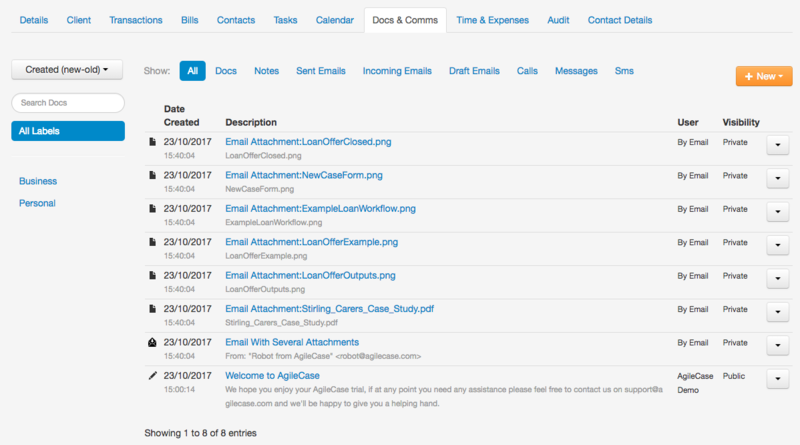 All emails and attachments in one central location for your team to collaborate on. Centralized Solution - You can draft, edit and send emails using our fully integrated, centralized Email solution right from within cases. Learn More. Email to Case - Send emails directly to cases, store the full conversation and any attachments - the full case story at any time. Learn More. Automatic Emails - Use scripting to send emails automatically when updating your case workflow. Maintain full communication with your clients without having to manually write or send a single email. Learn More. Store your data in the way you decide. 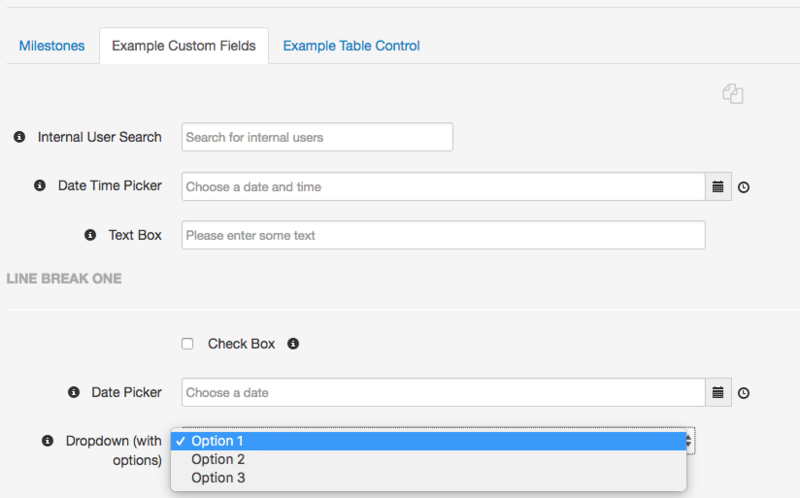 Fully Customizable - Cases can be fully customized using Custom fields. Configure your case to follow the flow you want, and show the information most relevant to you. Learn More. Custom Field Types - Maintain consistent information across your cases by creating Custom Fields for your most important case details. Select from a long list of field types, or write your own custom field script!. Learn More. Easy Management - Choose how to display your custom field tabs, use table views to store and manage recurring information. Link contacts, communications, events, tasks, and all other information to a case using Custom Fields. Learn More. Design and embed custom forms that dovetail with your AgileCase data. Create - Design and configure your forms exactly how you want and need them. Learn More. Publish - Publish your forms and distribute them to your audience, securely or publicly. Learn More. Capture - Gather the data thats collected and automatically open cases within AgileCase and distribute to your workforce. Learn More.